Defeat into Victory is the war time memoir of Field Marshal William Slim. It covers his command of the 12th Army in Burma during WW2. Under his leadership, it went from near collapse to total victory. One of the key reasons for this was his keen understanding of morale. 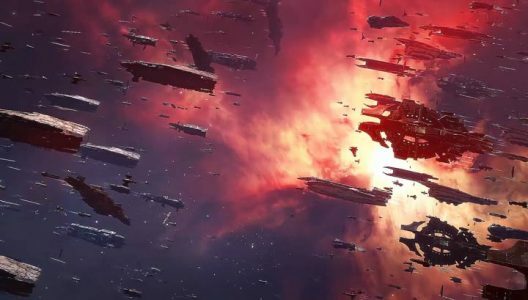 In EVE, where we win and lose wars mostly through morale, I think his writing has some value. Therefore, we will briefly summarise and apply it here. -There must be a great and noble object. -Its achievement must be vital. -The method of achievement must be active, aggressive. -The man must feel that what he is and what he does matters directly towards the attainment of the object. A clear example of this in action is Goonswarm during the Great War of 2007 – 2009. They painted Band of Brothers as a huge threat to all of New Eden. Defeating them became a righteous crusade. The anti-BoB alliance would be win through constant offensive. They circulated propaganda which highlighted everyone’s role, where even the newest player was important. A clear example of this failing is in the Imperium’s ‘Dirty War’ from Hakonen. It was a quite pointless war of choice, where the main combat was grindingly dull entosis. No one needed it to happen, and few were really involved with it. -He [the man] must be convinced that the object can be attained; that it is not out of reach. the object is an efficient one. suffer, his life will not be lightly flung away. We can see that this is applicable to nearly any conflict in EVE. When players don’t think they have a chance of succeeding, then they won’t log in. The organisation being efficient is also important. Disjointed offensives and FC drama make ultimate victory seem less plausible. Lastly, it is important to know that the leadership won’t just ‘whelp’ ships stupidly. A normal ‘whelp’ fleet is fine. But realising that my ship and time was wasted without cause by a bad commander kills my resolve to fight. -The man must feel that he will get a fair deal from his commanders and from the army generally. -He must, as far as humanly possible, be given the best weapons and equipment for his task. -His living and working conditions must be made as good as they can be. The material category is the one which is hardest to apply to EVE. 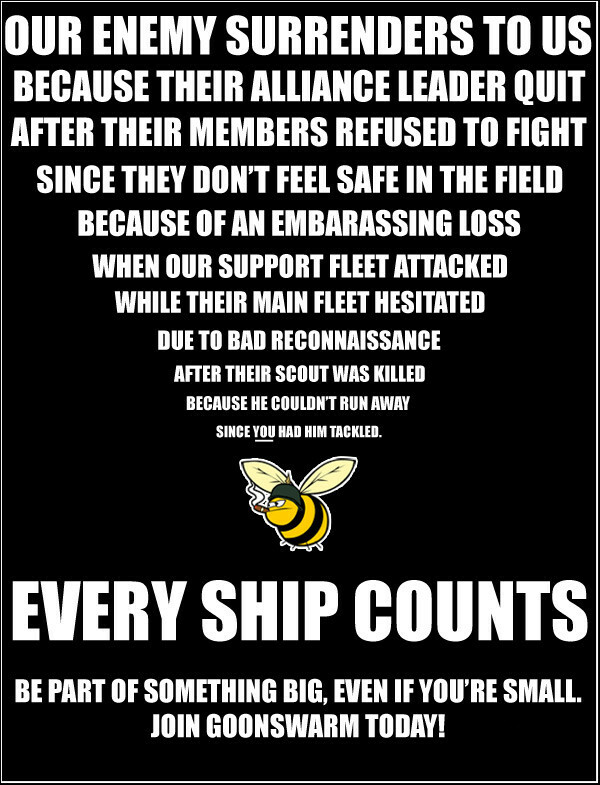 This is because in EVE, there are few professional soldiers. Militia conduct nearly all conflict, bringing weapons and supplies from home. However, the generalities can still be applied. Clear SRP policy is important, so the line members understand what they are risking. Leadership should pick appropriate doctrines, and create sufficient war stocks. Importing living and working conditions into EVE is a bit harder. But, for example, efforts can be made to avoid too many off-time zone battles. During long structure grinds, find some way to entertain fleet members is important. Of course, it is wrong to transplant wholesale commentary on terrestrial affairs into EVE. However, I believe that there are sufficient commonalities that certain lessons can be drawn. Naturally, a single blog post is not a replacement for an entire book – if you found this interesting, it might be worth picking it up. Field Marshal Slim commented further on his tabulation of morale in this extract (pages 47 – 53). That’s all for now. If you have any thoughts or comments, don’t hesitate to add them below. You should be a part of a contest for one of the most useful blogs online. I will recommend this site!